ME/CFS South Australia Inc wishes to thank Eco Pest Control for its support of the Society. © 2019 Manx Radio and Aiir. A dedicated service for those suffering with ME on the Isle of Man will be in place by the end of the current financial year. That's the promise from Health and Social Care Minister David Ashford, after more than 1,200 people signed a petition calling for more to be done to help those with the condition, also known as chronic fatigue syndrome. Around 350 Manx residents are known to have the illness, and £170,000 has been set aside in this year's budget to develop a pathway for those needing treatment. 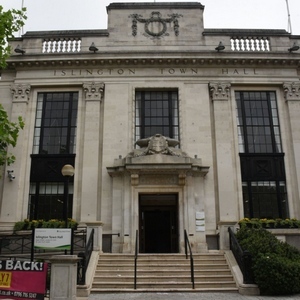 A disabled employee was made to “hotdesk” by Islington Council despite repeated calls from medical consultants to give her a fixed place to work, a judge has ruled. In January Judge McNeill QC upheld a discrimination complaint against Islington Council – ordering the town hall to pay the worker more than £10,000 in compensation, as reported by the Gazette at the time. But it wasn't until last week the reasons behind the ruling were published. They reveal the claimant sufferers from asthma and fibromyalgia – a long-term condition causing pain all over the body – and that a doctor, occupational health physician and an ergonomist all advised the council to make accommodation for her owing to her disability. The tribunal heard how the council employee – who has worked there since 1984 – was made to move desks depending on shifts, at her office in Newington Barrow, Finsbury Park. The tribunal heard how, owing to her fibromyalgia, “the position in which she sits at work has a significant impact on her condition”; and that “her asthma is triggered by sitting in the direct path of air conditioning units”. The South Australian Government values the significant contribution made by volunteers across the State. In recognition of this enormous effort, it has proclaimed a special day in their honour. Volunteers Day is now celebrated on the Queen's Birthday long weekend every year. Each year, the Department of Human Services hosts a thank you event for volunteers, coinciding with Volunteers Day, to celebrate and thank our state's volunteers. Through this event, we recognise and celebrate the many and varied ways that South Australia's 900,000 volunteers dedicate their time to help others and give back to our community, from patrolling beaches and helping in emergencies, to delivering food and providing companionship to the elderly and isolated. A free thank you event for volunteers will be held on Monday 10 June 2019. Volunteers are welcome to attend, registration is essential. If you would like to register more than four people please contact us at DHS.events@sa.gov.au or phone 8413 8174. Tickets are limited and will be issued on a first come, first served basis until all available spaces are filled. The department thanks the Adelaide Cabaret Festival for its generous support of our State's volunteers. A sufferer of ME, who started a petition for a dedicated service on the Island, says the condition changed his life overnight. Craig Morris lives in Port St Mary and has been dealing with ME, also known as chronic fatigue syndrome, for nine years. 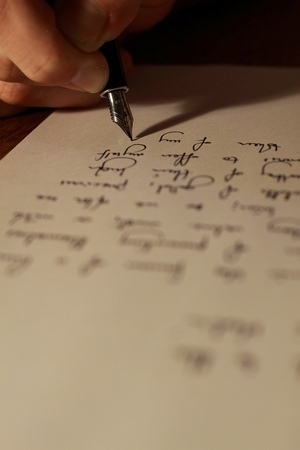 A petition calling to 'establish a select committee to investigate adequacy of provision for ME sufferers', has collected more than 1,100 signatures. ©News Group Newspapers Limited in England No. 679215. 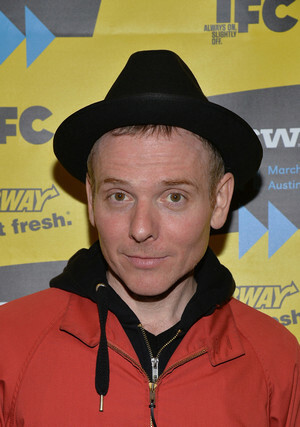 BELLE and Sebastian frontman Stuart Murdoch told how becoming a dad caused a flare-up of chronic fatigue syndrome. The Scot, 50, said he had managed to ignore the illness, also known as ME, for years while he performed with the band. But he revealed having his first son Denny in 2013 led to his extreme tiredness returning. Stuart — also dad to Nico, two — recalled how he first developed the disease aged 21 while studying at Glasgow Uni. He said: “It was quite gradual, almost over the course of a summer. "I did athletics and realised that I was knackered. “I’d had so much energy but I felt my legs giving, and by the end of summer I’d given up the running. We are looking for volunteers with Chronic Fatigue Syndrome (CFS) or healthy individuals without CFS to take part in a study inevstigating fatigue and its impact on everyday functioning. As a participant, you will be asked to complete an online survey, which will ask you questions about your CFS, your experience with CFS and your everyday functioning. The questionnaire should take between 40 and 70 minutes to complete. Participation in this study is entirely voluntary. This study has been approved by the Tasmanian Health and Medical Human Research Ethics Committee. Survey: What Should Be Considered In The Design Of A Clinic To Treat Complex Health Conditions? Please read the letter below from Cathie Powell at Bridges & Pathways and consider completing the online survey. It only takes about 10 minutes and can really help highlight the need for a round the clock, all in one clinic for all those with chronic complex health conditions. What should be considered in the design of a clinic to treat complex health conditions? We have an urgent request for you to respond to this State Health Survey about ‘the need for a one-stop clinic for people with chronic and complex conditions in South Australia’. This is a unique opportunity for you to have your say on matters that are important to you about the services you require to manage your chronic condition/s. While this is not the proposed ME/CFS clinic, it would be complementary and your responses will let the State Health Department know what all South Australians with complex chronic conditions need to manage their health. We are aware that many of you have difficulty completing online surveys due to the severity of your illness, and that you may also require assistance from family members and / or carers to compile the information. With this in mind we are showing the questions below in printed form, so you have time to think about them before you go online to complete the survey. As you reply, it is important to remember this is a State Clinic. The aim is to address Service gaps and reduce waiting lists that cause unnecessary stress, disability and the need to go to hospital emergency departments. • GPs and GP clinics that provide continuing and appropriate care with both during the day and after hours access. • Care Managers, Practice Nurses to coordinate the range of services you need. • Affordable physiotherapy, exercise physiology, dieticians, occupational therapy, psychologists. • Community education programs, Information, phone and other on-line support from peer groups. • Problems you have with physical access, ambulance, wheel chair, lifters for examination tables. Any other issues related to the cost of your care e.g. • Cost of tests to guide treatments and help with assessments. • Services to meet Centrelink and National Disability requirements. When you open the survey online, you will find the following explanation and 6 questions. As this is an opportunity to have your say, we suggest you to think about the questions before you answer. Thank you! What should be considered in the design of a clinic to treat complex health conditions? Patients who have chronic and complex health conditions often utilise significant health services, not always at their convenience, through hospitals and emergency departments when access to their GP / other services, cannot be gained. SA Health wants to hear from consumers about what they would like to be considered in the design of a One-Stop Clinic for consumers with chronic and complex conditions. 3. What currently makes accessing health services difficult? 4. What would make you go to a ‘one stop clinic’ rather than present to an Emergency Department? 5. What would stop you from going to a ‘one-stop clinic’? 6. Any other comments or suggestions? Below is the link to the on-line survey about the design of a clinic to treat complex health conditions on behalf of the SA State Health Department. 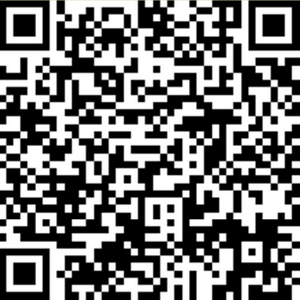 We urgently request you complete it. Thank you in advance. If you need help please ask your carers to assist you. Regards Cathie and the SA ME/CFS Fibromyalgia Collaboration Clinic team. Instagram show the reality of an invisible illness. Regularly waking up in so much pain you can barely leave bed is a nightmare for anyone. For Lauren Ashmole it is a reality, and one that leaves her struggling to live life as a normal 22-year-old would. But from just looking at the bright, colourful, happy photos she posts to her 59,200 followers on her Instagram page, you would probably never guess anything was wrong. Suffering from fibromyalgia, which causes pain all over the body and Myalgic Encephalomyelits (ME), also known as chronic fatigue syndrome, Lauren's symptoms are very real, but not usually visible from the outside. 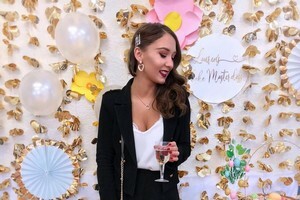 Using her Instagram account, where she posts pictures of herself, her outfits, cakes she has baked and snacks she has prepared, Lauren hopes to show the truth behind Instagram. ME/CFS South Australia Inc has signed an open letter to the journal Psychological Medicine asking for the 2013 PACE paper to be retracted. No doubt you will remember the PACE trial, a research study conducted in the UK looking at the effectiveness of GET (graded exercise therapy) and CBT (cognitive behaviour therapy) in the treatment of ME/CFS. 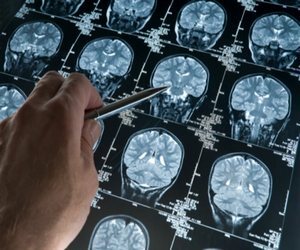 There has been much criticism of the research methods used in this study from other researchers and from the ME/CFS community. ME/CFS South Australia Inc, also, has serious concerns about methodological design flaws in the PACE trial. If you're not well enough to travel to and vote at a polling booth on election day you can apply for a postal vote. Applications close 6pm 15 May 2019. Once you have submitted your application for a postal vote, the AEC will send your ballot paper to the postal address you have provided. The AEC will start mailing voting papers to postal voters when nominations for candidates have been declared and ballot papers are available. Ballot papers must be completed and witnessed on or before election day Saturday 18 May 2019, and posted back to the AEC as soon as possible. You only have 13 days after the federal election for your ballot papers to be received by the AEC. This postal vote application is for the federal election only. The Tasmanian Electoral Commission has information for voting at the 2019 Tasmanian Legislative Council elections for the divisions of Montgomery, Nelson and Pembroke. Who can be an authorised witness for a postal vote? If you are unable to find one of these people, please see the information in your postal voting guide for further instructions. A person who is a candidate for the 2019 federal election cannot be an authorised witness. What if I am a general postal voter or a silent elector? If you are a registered general postal voter, you will automatically receive a postal vote pack in the mail. If you are registered as a silent elector, and you are not a general postal voter, you can complete a postal vote application or vote in person at an early voting centre or on election day. Kaye Dickson (right) and her rock, Mum Bev. 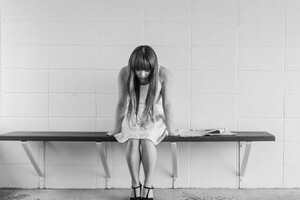 Bev Dickson has just been reminded of some desperately dark times in her daughter’s 30-year struggle with ME, myalgic encephalomyelitis or chronic fatigue syndrome. Wretched times that took daughter Kaye, right to the brink. Bev doesn’t really want to go back there. The head goes down. And it caused confusion, frustration and fear for both mother and daughter. “It got very close,” admits Kaye. “And I am certain that had it not been for my parents, I would not be here today.” She had been considering a way out. Bev’s role changed forever in 1989. The mother to a bubbly, carefree spirit suddenly became a carer when Kaye got glandular fever – often viruses are precursors to chronic fatigue syndrome. Copyright © 2019 Powered by Square1.io. Next, in our Hidden Illness series, we meet 29-year-old Sarah from Dublin, whose illness began at age 10 when she was one of the youngest people in the country to be diagnosed with Fibromyalgia. She tells Jennifer McShane of the heartbreaking reality that comes with daily pain management and having to retire from work at only 29. Sarah's pain and health issues began before she was even a teenager. "I was diagnosed with Fibromyalgia when I was 10, at the time I was told I was one of the youngest people they had seen with it and not a lot was known about the condition. I went from being an extremely healthy and active, bright young child to a child who lived in constant pain and was highly medicated for most of my young adult life." "I remember being a really active child, horse riding was my number one passion, I had my poor parents pestered for a pony but to no avail! I did lessons every week and pony camps every summer and just loved every second of it. When I was about 10 I remember getting quite a bad virus. Once I had recovered I got back to my usual routine but started noticing that I was getting very tired and lethargic quickly, having trouble concentrating and most of all my legs were in pain. I can remember going to Blanchardstown Shopping Centre vividly and having to stop on a bench in tears because I couldn’t walk any further due to pain. From there I remember seeing the GP and "growing pains" being mentioned but my symptoms got worse. Eventually, I was sent to Temple Street where the consultant diagnosed me with Fibromyalgia." impossible to enjoy her grandson as much as she wanted to. © Copyright 2006-2019 GateHouse Media, LLC. All rights reserved • GateHouse News. While many struggle to find solutions to coping with the pain of fibromyalgia, one Cuyahoga Falls woman, Donna Diemer, said she’s found one that works for her. She takes the expectorant guaifenesin, which is normally used to help clear sinuses and the chest of mucus congestion. She said the medication is available over-the-counter and has helped her overcome the excruciating pain of fibromyalgia. 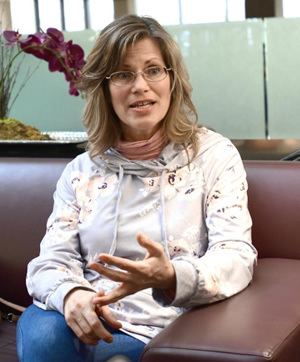 Diemer, 56, said she went from being a super-fit, diet-conscious person who relished the outdoors to being a borderline invalid. “I would scream all night long, rolling over because of the pain; I would crawl to get things done because of the pain,” she said. She had reached the point where she was considering filing for disability, but the disease was affecting her personal life, as well. Rabbits have been hopping around the UK since Roman times, experts have been able to prove for the first time. Scientific tests on a rabbit bone, found at Fishbourne Roman Palace in West Sussex, have shown the animal was alive in the first century AD. 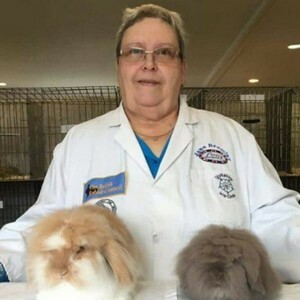 Jane Bramley, 64, from Pontefract, west Yorkshire, has been breeding rabbits for more than 30 years and says the animals played a big part in helping her overcome two serious illnesses. She was diagnosed with cancer aged 30, shortly after the birth of her son, and it was during her recovery from life-saving surgery that her interest in rabbits started. After taking over a pet shop, she thought she could make some extra money by breeding and selling rabbits. "Having such a positive hobby to focus my energy on really boosted my recovery," she said. Ten years later when she was diagnosed with chronic fatigue syndrome, she says her rabbits once again aided her recovery. "Rabbits gave me a reason to live," she said. "I had to get out of bed every day to go and see them. "I feel very strongly that my rabbits are therapy and I have devoted my life to them." Jane currently owns 72 rabbits with her husband Douglas - she has had over 240 in the past - and it takes them two hours a day to feed and water them. © 2019, Moultrie News, an Evening Post Industries company. All rights reserved. On April 23, at 5 p.m. at Charleston City Hall, 80 Broad Street, in council chambers, Mayor John Tecklenburg will read the Proclamation declaring May as ME Awareness Month and May 12, as ME Awareness Day. Councilman White recognized the importance of raising awareness about ME and introduced the Proclamation. ME, previously known as Chronic Fatigue Syndrome, is a severe, chronic neuro-immune disease manifest by dysfunction of the neurological, immune, endocrine and energy metabolism systems. There are no available diagnostic tests, no FDA-approved treatments and no cure. ME affects 16 to 39 thousand SC residents, up to 2.5 million Americans and 17-20 million worldwide. Despite its prevalence, ME has long lived in the shadows and has been stigmatized as a psychogenic illness, with those afflicted viewed as lazy or malingering rather than having a serious medical disease. Securing a City Proclamation was a grassroots effort by people with ME to raise awareness about the lack of health equality for ME patients, many of whom have spent decades homebound and bedridden with little or no assistance. Some patients are so weak they cannot feed themselves. Copyright © 2019 ProHealth, Inc. All rights reserved. Of the 17 to 24 million people worldwide who have ME/CFS (chronic fatigue syndrome), a number are bound to be celebrities. 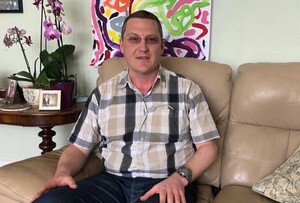 Some have made their struggles with ME/CFS known to the public, while others – usually for the sake of their careers – have preferred to keep quiet. We applaud the efforts of these courageous individuals.